Air horn with a high pitched tone (660Hz). This pneumatic horn is often used as an alarm horn. 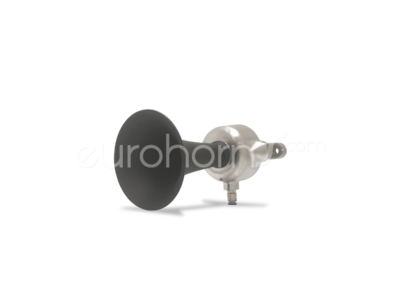 Also used in combination with the H210 as a train horn set. Pneumatic air horn which is often used as alarm horn.